A couple weeks ago, several of CFICE’s student research assistants (RA) attended and presented at the 2016 CACSL Conference on behalf of CFICE. We asked them to reflect on their experiences, and here’s what they shared with us! Having the opportunity to present your work and research at an academic conference is an incredible one that I did not think I would have at this stage in my academic career. At the 2016 CACSL conference: Impact for Sustainability, I got to present a presentation titled Student Experiences with Campus-Community Engagement: Impacts and Challenges with my colleagues and CFICE RAs, Aaron Kozak and Amanda LeFrancois. CFICE offered to send us to Calgary to present our presentation and gave us freedom to present on whichever topics we’d like. At the conference I got to meet a lot of people doing work in community-campus engagement (CCE) and community service learning (CSL), professors, students, community organizations, volunteer centers, and many more. In addition to networking with professionals and academics, I got to listen in and was very inspired by all the innovations regarding CSL and CCE across the country. CACSL was my first foray into giving an academic presentation. Since our presentation was on the second day, I was able to see how other presenters organized their talks in order to give me an idea about the audience I would be speaking to. I learned that even though all of the people there had things in common – we were all drawn together by our shared stakes in community service learning – we came from a variety of backgrounds with an array of ideologies. 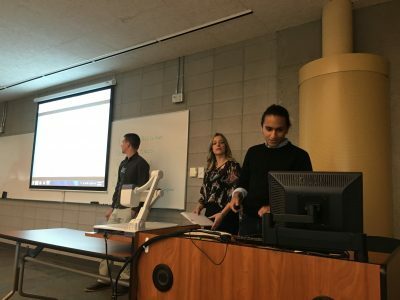 As one of the only teams of student presenters, we were able to offer a unique perspective of the student experience of community-based education – opportunities for which were largely lacking in our education up until being involved with CFICE. 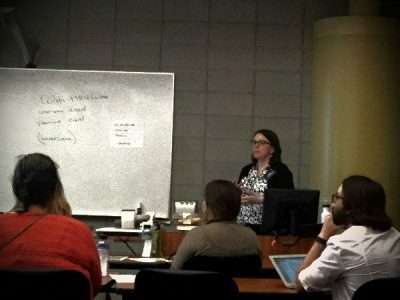 Overall, the opportunity to share our research and learn from others was hugely illuminating. 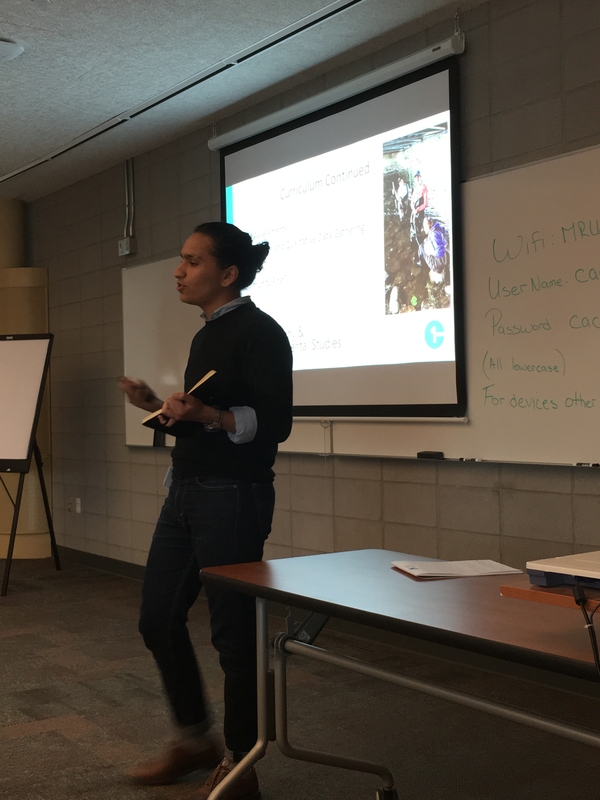 When asked to join fellow Community First: Impacts of Community Engagement (CFICE) research assistants in presenting at the Canadian Association of Community-Service Learning (CACSL) conference in Calgary, Alberta, I was excited, nervous, and very appreciative. I was excited to further knowledge of the positive impacts of the CFICE project, and give details about the specific work that Pathway to Potential in Windsor, Ontario has been working on over the past two years. I was also somewhat nervous because I had never given a presentation at a conference before, only poster presentations, and I was unsure what to expect. Lastly, I felt so much appreciation to CFICE for having been given this incredible opportunity to present the research that Pathway to Potential had been working on to other individuals interested in similar topics. Our presentation titled, Student Experiences with Campus Community Engagement: Impacts and Challenges, gave specific examples of our personal experiences, along with some recommendations based on the realities of being a student involved with campus-community engagement (CCE), and community-based research (CBR). It was a very necessary presentation as many others were discussing the impacts CCE, CBR, and community service learning (CSL) has on students who are involved, though there were few actually from the perspective of the student. It was very powerful to give our unbiased experiences with the various CCE we have been exposed to at several universities because they all had similar themes: (1) there was an action component missing from the form of engagement, and (2) the projects were not community first. By giving our student experiences with CCE to the attendees, we hopefully brought some awareness that while intentions might be in the right direction, there sometimes are aspects missing. Anther important experience I was afforded while attending the conference was the ability to network with like-minded individuals who were working on similar projects. After our presentation I was approached by two individuals who were very intrigued by the work Pathway to Potential was developing and wanted more information. Similarly, I sat in on several lectures and workshops where I thought the research conducted was pertinent to our work as well. The opportunity to attend the CACSL conference was once in a lifetime and the knowledge gained from both presenting and listening to other presenters was invaluable. This experience will be one that I will keep with me throughout my educational career, and throughout my life as well. Anna Przednowek presenting at the CACSL Conference 2016. This June I had the opportunity to participate in the Canadian Alliance for Community Service Learning Conference (CACSL) where I presented a brief overview of the collaborative community projects in the VAW hub at CFICE. I have always been interested in and participated in community-service learning (CSL) opportunities during my undergraduate and graduate studies. A connection to the community has always kept my academic work very grounded in what is currently happening in the field, and gave me an opportunity to give back. Prior to the preparation for this conference and attending this conference, I knew little of CSL models, despite the fact that I participated in CSL for many years. I found the CACSL conference very informative as it exposed me to a whole range of CSL frameworks in various disciplines which ignited a whole new area of academic interest for me. Congratulations to all of the students for outstanding work. Without the contributions made by them to CFICE, the project could not achieve its goals. You are the ones who will carry on this work.